Peter Conlin and Kirsten Forkert, both Nova Scotia School of Art and Design graduates, work in performance, sound and video. For .in/attendant., Conlin and Forkert present a piece entitled Spill. 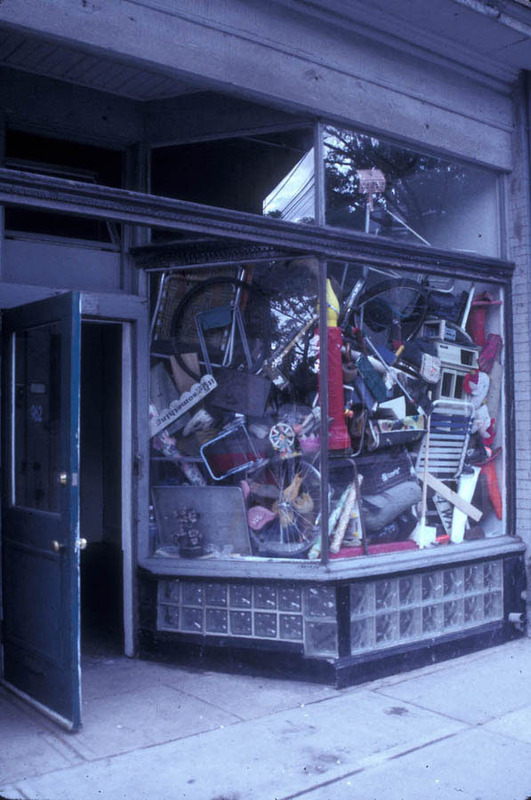 Over the course of 3 hours, the window space is entirely filled with junk—old toys, furniture, clothes—objects which are perceived as being no longer useful, desperate in their patheticness. Once filled, the window space is slowly emptied out onto the street. As one performer empties, the other continually speaks, a rambling confessional, the sometimes undignified state of spilling one’s guts. The futility of filling and then emptying the space allows for the experience of a loss of containment, and a failure to conceal and obey emotional boundaries, as the window space is physically and emotionally stripped clean.